Whether you are celebrating an engagement or bridal shower party, Target has everything you need to throw a chic event that you and your guests will enjoy. This year's Target Wedding Theme is "Be Yourself, Together", which celebrates the unique qualities each individual brings to a relationship that combined, result in something beautiful. My favorite bridal shower party theme would have to be Paris-inspired, with ideas taken straight from the movie "Bridesmaids". Not everyone can afford an over-the-top bridal shower party such as that one and hand out puppies as a party favor, but you can certainly take some elements from it, like creating fab invitations, greeting your guests with drinks at the door, and serving up delectable desserts. It makes me happy when I can get the most use out of an item, so shopping for versatile pieces is key for me. 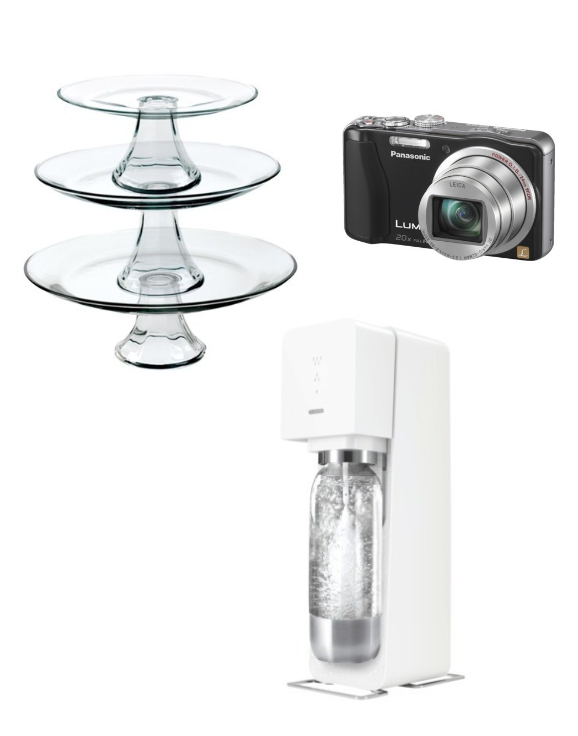 These items I chose to highlight from the Target Wedding Catalog can be used for special occasions or for everyday. The Tiered Pedestal Serving Plates - Set of 3 ($19.99) is perfect for serving up cupcakes or macarons, but for a fashionista like me, it doubles as the perfect spot to display your jewelry or beauty items. It is super convenient to store my favorite lipsticks, lip glosses, mascara, concealer, eye shadows and powders on, so I can easily just reach for it and apply my makeup. So instead of a vanity, I use a cake plate! Same goes for jewelry - it makes it easy to decide what to wear having my bracelets, rings and necklaces stored in the same place. The Panasonic Lumix DMC-ZS19K 14.1MP Digital Camera with 20x Optical Zoom ($249.99) in Black is great for capturing those special moments but is also portable and perfect for on-the-go, like the weekly previews and launch parties I need to photograph. It can also record videos in full 1080p HD movie quality. My last pick is the SodaStream Source Soda Maker ($99.00-$99.99), for making your own sparkling water or sodas for you and your guests. It's easy to come up with a drink menu of different options, from Diet Cola and Sparkling Pink Grapefruit to Kool-Aid Cherry and Cranberry Energy sodas. 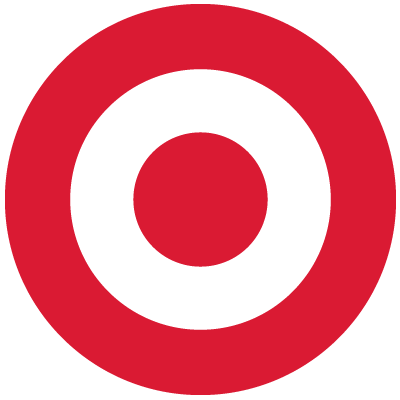 Thanks to Target, one lucky reader will randomly be selected to receive a $25 Target Gift Card. To enter, visit the Target Wedding Catalog and leave a comment on this post, of which product you would use or gift at a Bridal shower. I'll be choosing a winner on Sunday, November 3, 2013 at 11:59pm ET. If you are planning a wedding in the near future, check out the Target Wedding Registry and sign up! Get inspired and join the wedding fun by folllowing #TargetWedding on Twitter, Instagram and Pinterest. I would choose the Threshold™ 16 Piece Wellsbridge Dinnerware Set. I would choose and use the Threshold 16 Piece Wellsbridge Dinnerware Set in Brick. Would look wonderful on a dinner table. I'd give a set from the Fieldcrest Luxury Towel Collection. It looks so soft and comfy. I would love to be able to give my co-worker a Kitchen Aid Mixer as a shower/wedding gift. I would give a dutch oven at my friend's shower. i'd pick the rachael ray 10 piece cookware set! KitchenAid mixer would be my choice. Congratulations on winning the $25 Target gift card! I will be contacting you via email. Would love to be able to give someone a KitchenAid Mixer, but that's a little out of my price range. :) Maybe a Keurig! you gotta have a decent cookware set , so I would choose the Rachael Ray Hard Anodized II 10 piece Set. Congratulations JC! You have won the $25 Target Gift Card Giveaway!